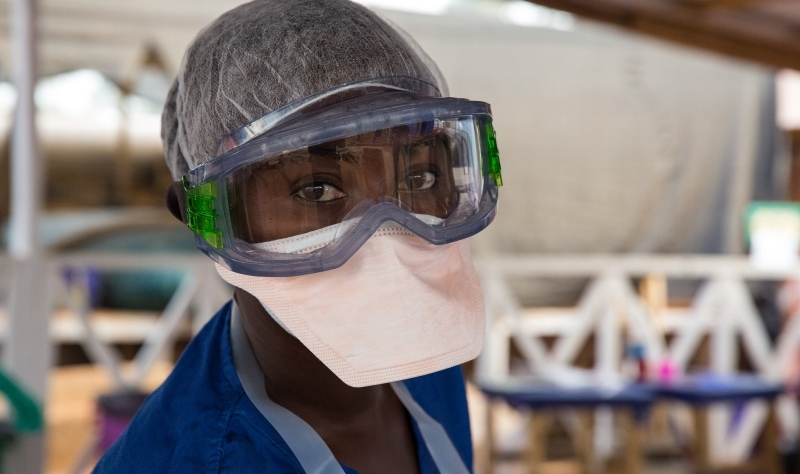 When the worst Ebola outbreak ever recorded hit West Africa in 2014, people all over the world started worrying. Many felt helpless in the face of such widespread devastation. Once the first case of Ebola reached American shores, citizens feared an outbreak in the US. These recent events have made us all more curious about deadly diseases. How far can contagious illnesses travel? Are there vaccines? As healthcare professionals, what should we be prepared for? Let’s take a look at six of the deadliest diseases that exist in the US and abroad to find out how big a threat they’ve posed in the past 20 years. You know Ebola, now meet the family: The Marburg virus is a close cousin of the ebola virus. Both are viral diseases that cause hemorrhagic fever, resulting in severe bleeding, organ failure and death. The deadly Marburg virus is spread by infected animals, particularly fruit bats and monkeys, and then passed on through bodily fluids, transmitted easily from person to person. Like with Ebola, it can take weeks for the body to develop antibodies to fight the virus, which makes disease control and prevention especially difficult with the fast-moving virus. In 2008, an American woman was hospitalized after returning home from Uganda, where she had visited a bat cave and contracted the disease. Once known for being the deadliest disease in the world, now the stuff of period dramas and novels, the vaccine for smallpox has been one of medicine’s great success stories. In fact, the smallpox vaccine was the first vaccine ever used, first administered in 1796 by Edward Jenner, the English country doctor who created it. The World Health Organization declared smallpox eradicated in 1979, but samples of the virus have been kept in secure research laboratories. There has been much debate over whether or not they should be destroyed. Much like smallpox, the rotavirus has been unforgiving to its victims. Manifesting as severe diarrhea, it mainly claims the lives of babies and young children. As recently as 2008, over 453,000 deaths of children under the age of five were caused by rotavirus worldwide. Since a vaccine became available in 2006, cases of rotavirus have been dramatically reduced in the US. Rotavirus affects infants most severely, as they become dehydrated due to the effects of severe diarrhea. Rotavirus still claims many lives in developing countries where there is no access to the vaccine or to rehydration treatment. Want to go for a swim? This infection, known as PAM for short, is one of the most deadly diseases in the US – merely because the US is the most popular spot worldwide for infections. PAM stems from a dangerous amoeba found in warm freshwater. It can be contracted from swimming in lakes, but people have been known to contract the infection through contaminated tap water. PAM affects the central nervous system quickly and violently if the amoeba makes its way into the nose and sinuses. Usually, it results in death. In the last 10 years, 35 cases have been reported in the US. No known cases have been reported outside the US in the past 20 years; the most recent one was in Australia in the 1980s. Ever wonder why we’re so terrified of rats and mice in our homes? This virus is a pathogen found in the feces or urine of infected rodents. If humans come into contact with the bodily fluids of an infected animal, the hantavirus results in a respiratory infection. In a matter of days, fluid begins to fill the lungs and the disease can eventually kill its human host, with a mortality rate that’s similar to ebola. Thankfully, this deadly disease is rare and is most often picked up by people who spend a lot of time outdoors or in places where rodents may settle and leave droppings; the virus is only known to survive for up to 48 hours outside a host. The most recent case in America was at Yosemite National Park in 2012 in which three people lost their lives. Outside America, cases dating back to the late 1990s have also been documented in Central and South America. With other forms of terrorism making headlines, bio-terror has gone off the radar, but you may remember the anthrax outbreaks of 2001 – another deadly disease transmitted by animals. The history of the disease tells us that bacterial spores (Bacillus anthracis) have been found in common materials like wool and soil where animals graze. Spores can then travel on clothes, for example, increasing the risk of spreading diseases among people through inhalation of these spores. In the US, anthrax’s biggest threat is its ability to be used as an agent in biological warfare. In 2001, the first person to die of anthrax inhalation in 25 years received a letter that contained Bacillus anthracis spores. Anthrax cannot be spread widely in the US the way illnesses like the flu can be, and a vaccine exists. Microbiologist Louis Pasteur began working on the vaccine way back in 1879, during an anthrax outbreak in France and across Europe. But in spite of these developments, direct contact with deadly bacteria spores remains a powerful weapon. Should You Fear an Outbreak? If you’re scared of animals and water after this list of contagious diseases and deadly infections, you’d better stay clear of medical professionals too: Read up on these 7 Disturbing Medical Malpractice Cases.